Have you ever dreamt of saving the planet from an Alien attack? Yes? Then Ben 10 Protector of the Earth is the best game for you! With Big Chill on your side, protect the Earth from the falling dangerously explosive alien matter. Ben 10 Protector of Earth is the first ever video game based on the famous cartoon TV series, Ben 10. Released in October 2007 for PS2 and PSP, Ben 10 Protector of Earth is an adventurous rescue game where Ben as Big Chill is saving the planet from alien attack! 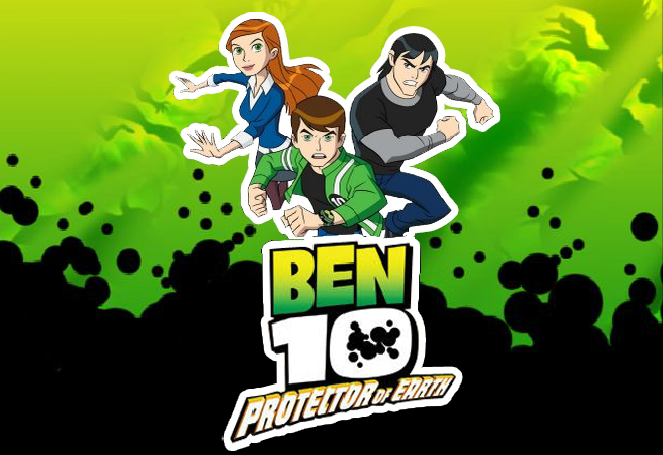 Ben 10 Protector of Earth Nintendo DS and Nintendo Wii are also available. The game has multiple levels and you can play this Ben 10 game online as well as you can download Ben 10 Protector of Earth too. Before you play this game, let us have a look at the gameplay. As you already know, this game is all about protecting planet earth, but how you will exactly do it with Ben 10. So, here’s your guide. Ben 10 Protector of Earth begins with Ben 10 as Big Chill flying over the skyline of the city. And, loads of alien bombs and fireballs are falling from the sky. Your mission is to destroy all these alien matters before they fall over the city and make explosions. With every explosion the Danger level increases and it touches the maximum limit, the level fails and you have to play from the beginning. Fireballs – These are alien matter and when they touch the ground, it explodes. You can use the echo super power of Big Chill to destroy them or simply touch them and they will vanish. Orbs – Orbs are much more dangerous than Fireballs. You can only destroy them with Echo superpower. If you try to touch them, you will loose a life. So, it’s too important to destroy them. Pro Tip: Use the Tracker on Top Corner to find where the alien matters are falling! Well, with all said and described, now you are all set to play Ben 10 Protector of Earth game right now! Destroy all the Alien matter before it falls else you loose! Don’t Forget to give your rating for Ben 10 Protector of Earth Game and share your tips and tricks to win this game in the comments section below.